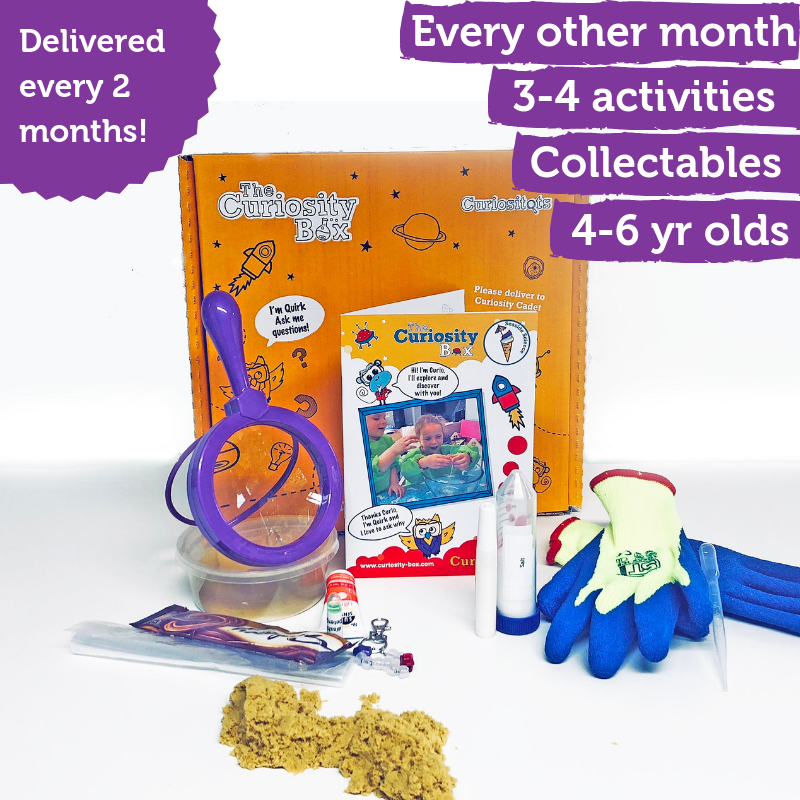 Want your Curiositots box of sciency goodies delivered every other month? Order now and save money with one of our prepay options or pay as you go every other month for £19.95. Want your Curiositots box of sciency goodies delivered every other month? You can pay as you go for £19.95 per box. 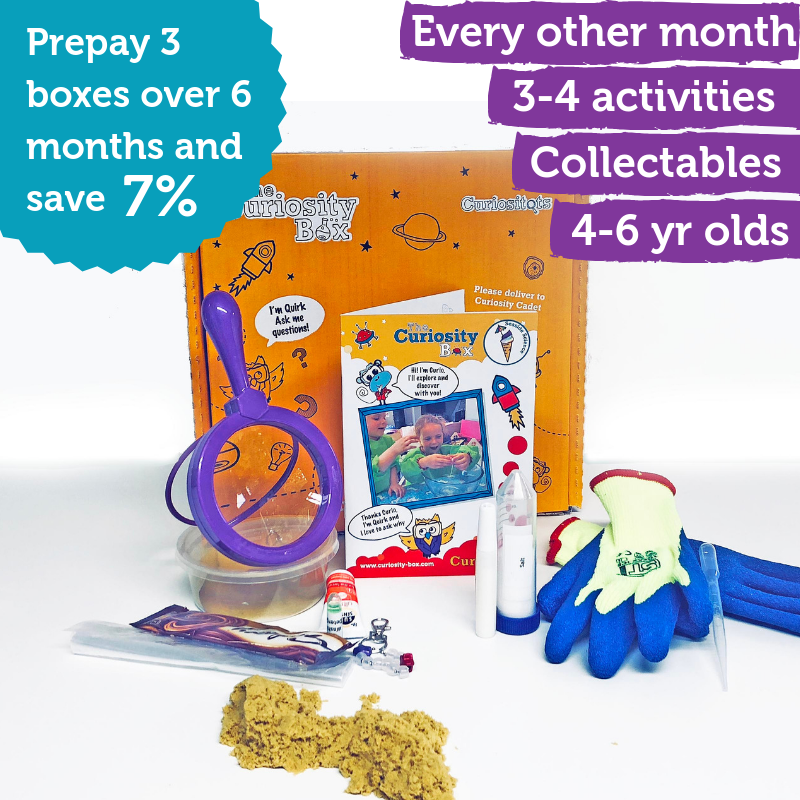 Buy 6 months for only £55.95 (postage included) and get a different box for your little one every other month (that's a saving of 7%)! Sign up for 12 months for £109.95 (saving £9.75) and get a box of sciency goodness every other month. No hidden extras, postage included.